Dousk is a name that has been synonymous with quality electronic music for the better part of a decade. His initial productions found their way on to John Digweed's Bedrock imprint in 2004 and since that time his work has been featured on a multitude of top notch labels included Kasey Taylor's Vapour Recordings and Darin Epsilon's 'Perspectives Digital'. 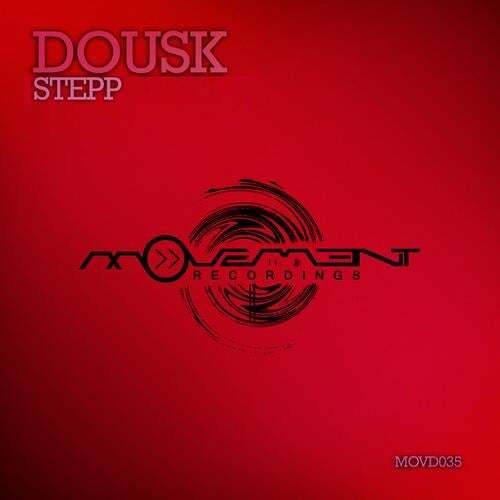 Dousk first appeared on Movement Recordings with his remix of Chris Mozio & Nikko Z's 'Monotony' in April of 2011. Here he makes his return to the label for their 35th release with his original production entitled 'Stepp'.It's another fabulous original from the great Greek producer that has techno, tech house and progressive influences but most importantly what it has is that keen dance floor sensibility that Dousk is world renowned for. An incredibly funky bottom end with a room rocking groove that could capsize a small boat sets the underbelly of the track. Hook heavy vocal samples and fresh sounds fill the air as the piece builds towards a tension filled breakdown. A great sense of space sets the stage as the distinctive groove rises to the foreground and those unmistakable Dousk drums keep the anticipation sky high for what eventually results in an unforgettable dance floor moment.